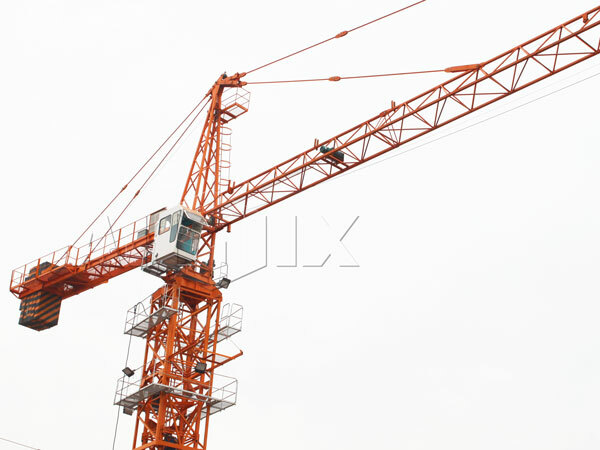 Every barber knows that tower crane for sale is an important lifting equipment in a variety of construction sites, which is usually used to hang steel, wood, concrete, steel and other raw materials. 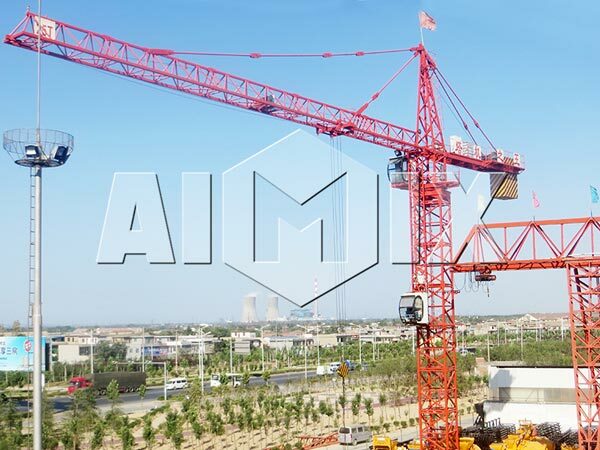 We Aimix Group tower crane belongs to a self-elevating tower crane, which can rise with the rise of building, and it is is ideal construction Machinery and good helper for the construction projects of high-rise buildings. 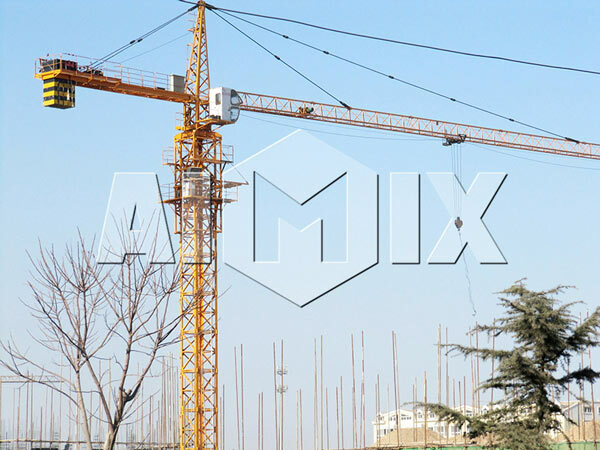 We Aimix Group can provide many models tower crane, such as: QTZ31.5 tower crane, QTZ40 tower crane, QTZ63 tower crane, QTZ80 tower crane, QTZ125 tower crane, QTZ160 tower crane with our users. Warmly welcome users to visit our company and factory and we are very honored to cooperation with you. 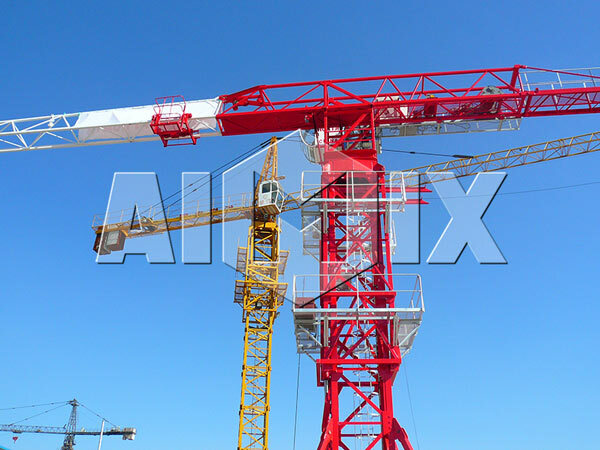 QLZ tower crane Aimix Group produced is a kind of crane with self eracting, and can decide the crane height according to the actual height of the building, and at the same time the lifting capacity will not be affected, the trolley has good positioning performance, together with moment-limiting hydraulic coupler, which can realize high load capacity, steady starting and reliable operation. 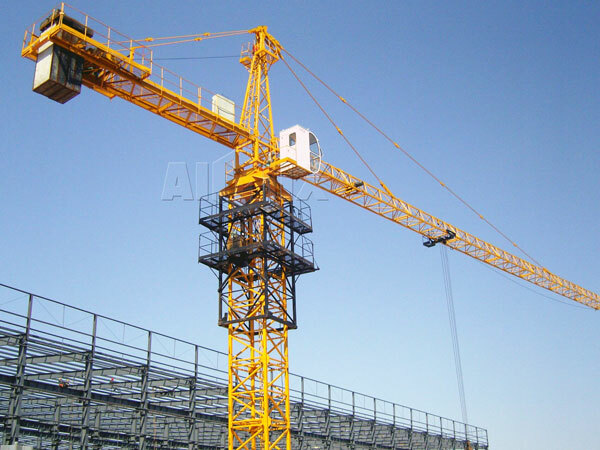 Our tower crane has complete set of safety devices, which can guarantee the safe and high efficient operation of the equipment. The machine is equipment with construction lift lifting height limiter, dolly range-change limiter, moment limiter, weight limiter, circum gyrating limiter, etc. Our tower crane set the slewing ring, the balance weight and the main body at the top of our tower crane, which can simplify the structure and facilitate the rise section because of the tower is not rotating. Moreover, our tower crane is equipped with a balance weight, which supports the balance weight to form a balance moment in the opposite direction of the lifting torque. Our tower crane is equipped with a lifting mechanism at the rear, which has a counterweight effect, and it can increase the distance between the rope reel and the spur wheel to avoid the phenomenon of random rope. 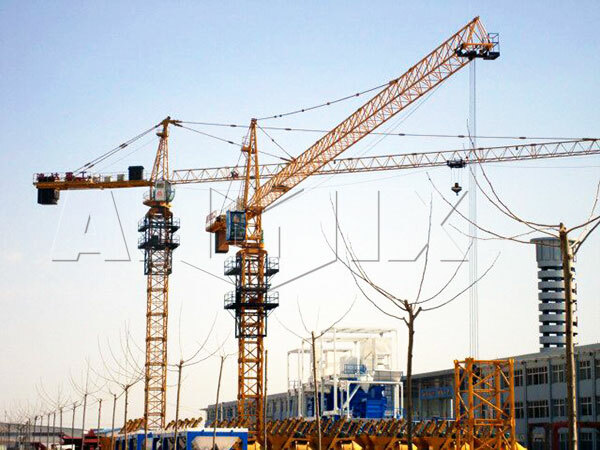 In addition, the boom of our tower crane has good tolerance performance,uniform force and small damage to the structure and the connection part. 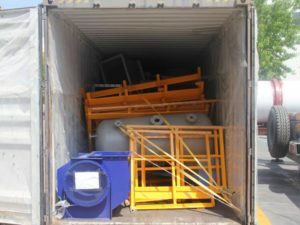 We Aimix Group is a top enterprise in China, and we are devoted to offer reasonable price, best quality and warmly service to our users. At present, our company covers an area of 120,000 square meters and our company has more than 1000 staff. 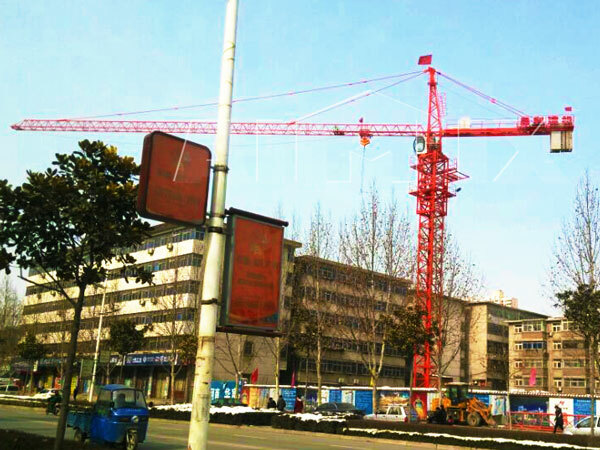 Our tower crane, concrete batching plant, stabilized soil mixing plant, asphalt mixing plant, dry mortar production line, concrete mixer, cement silo, concrete pump, concrete transit mixer, construction lift, block making machine and other products sprang up around the word. 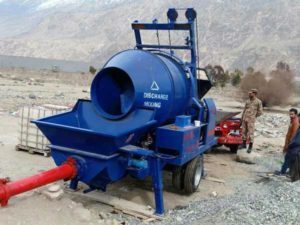 If you want to learn more about other concrete machines, you can visit this facebook page: https://www.facebook.com/Aimix-group-116267429018013/notifications/.